When purchasing a vehicle, one of the first things you need to decide is whether you will be buying or leasing. With almost every major purchase in life, there are pros and cons to both sides, so let’s break them down. Ownership – If you drive cars for a long time, buying is probably the better option for you. Once a lease is up, you either have to return the car or buy it outright. When you buy a car, once the loan period is over, you own the vehicle. Best of all, you won’t have any more car payments. Equity – Every payment you make on your owned vehicle gives you equity in the car. So if you decide to sell, that money goes back to you and can be used towards a new vehicle or another major purchase. Depreciation – The minute you drive off the lot, your car begins to go down in value. If the value of a car goes down due to market fluctuations, you take that loss if you sell the car. Longer Loans – The average lease is around three years while a loan lasts about five. You can put down a bigger down payment to shorten the term of your loan, but it can be hard to come up with that much cash. Lower monthly payments – With a lease, you are paying the difference between the car’s price now and what it is expected to be at the end of the lease. This makes it so a lease payment is usually less than a loan payment. Drive better cars – As a result of the lower monthly payment, people can usually afford to drive a car that is a little nicer than what they could afford if they purchased the vehicle. Lower repair costs – A car is usually under warranty throughout the entirety of lease, making it a little easier when those unexpected repairs pop up. However, it’s super important to keep up on routine maintenance on a leased vehicle to avoid penalties when you return it. Easier Transition - When the lease is up, the car will be inspected and if everything is cleared, you hand over the keys and walk away. 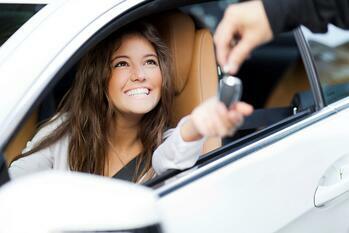 Don’t Own the Car – You are essentially borrowing your vehicle throughout the time of the lease. So when you return it, you don’t have anything to show for it. Extra Penalties – A leased vehicle is usually limited to a certain amount of miles while you are driving it. If you go over those miles, you can additional fees per mile that can really add up. So if you have a long commute or take frequent road trips, take this into consideration. Contracted to the Vehicle – Once you sign the lease, you’re stuck with the car, even if you end up not liking it. Contracts are written to discourage early termination and usually result in a pricey termination fee. No Customizations – Any changes you make to the vehicle could result in fines. This includes things like accessories, a better sound system, painting, etc. You will have to pay to have all of this undone when you return the vehicle. Cyprus offers low rates, flexible terms, and fast approval to make your next auto, boat, RV, ATV or motorcycle purchase easy. With rates as low as 2.69%, now is a great time to buy. For more information, check out our website or stop by one of our branches. Remember to ask for Cyprus financing at the dealership.